We have been coming together for Fun fellowship and community service since 1945. We are looking for more friends to join our mission and serve our community. Come to a meeting to meet us, check out "club projects" to see what we do. Don the vest and join our quest. 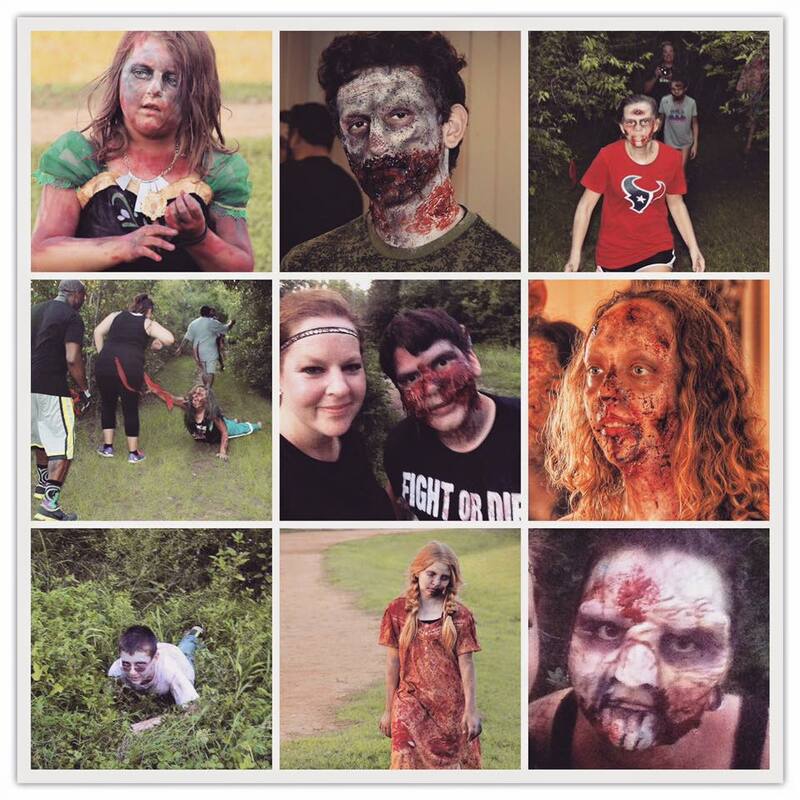 5K Fun Run/Walk with Zombies Chasing you! How fast can you run, can you evade the zombies that lurk behind every tree on the trail? Will you survive or join the Zombie Horde? Vendors, Food, Music, Silent Auction, Kids Run/Walk, Costume Contest, Bounce House, Face Painting, Appearances by Creepy Hollow Haunted House Characters and Zombie Killer Team plus much, much more! Fun Starts at 2:00 PM, 5K at 7:00 PM. Check out the Zombiefest tab on the left for more details! All proceeds to benefit the Lake Jackson Lions Club Charities and Projects which include the Texas Lions Camp for children with special needs.